Technology surrounds us, and so do questions about the readiness of our students to step into future job markets that have ever-increasing demands for technical competencies — and application proficiencies — in emerging technologies like augmented reality. 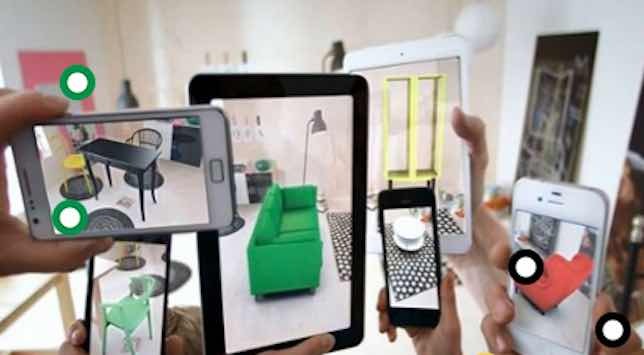 One faculty member at Bentley University in Waltham, MA, considered ways that his students might best learn to create and use augmented reality. He designed a bold experiment with a partner school, Politehnica University of Timisoara, in Romania — the students would create AR artifacts to examine and learn from each other. In this learning collaboration, students from these two schools, on separate continents, learn about augmented reality and how it is used in industry. Here, Mark Frydenberg, a senior lecturer of computer and information systems and director of the CIS Sandbox at Bentley University in Waltham, MA, details the project and the thinking behind it. Mary Grush: What was the basic premise of the collaboration between your institution and the school in Romania? Mark Frydenberg: In today's global economy, many students will be entering a workforce where it is likely that they will need to collaborate with colleagues they may not ever meet in person to complete an assigned task. Our project creates a controlled learning environment where students work together over six to eight weeks, navigating issues of technology and time zones, to study a particular technology and share their results using various multimedia tools. Grush: What is the project called? How have the two institutions involved worked together? Frydenberg: "TalkTech" is a continuing study that partners first-year students in my Introduction to Technology course at Bentley, with seniors in a multimedia course at Politehnica University of Timisoara (UPT) in Romania taught by my colleague, Professor Diana Andone. Both courses focus on developing digital literacy skills. Diana and I have been pairing our students each fall semester for the past eight years. More than 1,000 students have participated over the years. They communicate and collaborate online, in the TalkTech project. About 35 students from Bentley and 50 from UPT participated in the Fall 2016 semester, working in mixed groups of four or five. When we first started TalkTech, it was all about learning which technologies students use, and for what purpose. When do they use e-mail? or blogs? or Skype? or instant messaging? As the use of these technologies became more commonplace or in some cases obsolete, we noticed that the students' means of online communications shifted from laptops to mobile devices, and from the Web-based bulletin boards we had provided to their own Facebook groups and WhatsApp conversations. To make things easier, all students who participate have to speak English. We surveyed our students and found out that they have similar technology backgrounds: Students from both schools regularly use the Web, search engines, mobile devices, and cloud storage or apps. Once the ability to communicate was a given, we focused on having students use those tools to share their findings with each other as they studied an emerging technology. For the past few years, students had to work on a project studying the impact of various technology trends — cloud computing, big data, and the Internet of Things… In Fall, 2016, following the widely popular introduction of Pokemon Go! the previous summer, we thought we would have students look at augmented reality, to see how it is used in ways outside of the gaming industry — ways with which they might not be familiar. And with a number of tools to create augmented reality available, we thought it would be a good opportunity for students to learn more about these tools. Grush: In the Fall 2016 project, what were some of the other reasons and ways you focused on AR? And did your students explore additional technologies beyond AR? Frydenberg: In augmented reality, digital multimedia content is overlaid on some real-world image, to add context or information in a way that engages the viewer. For example, overlaying the yard lines and direction of play on a view of the field in the Super Bowl is a popular example of augmented reality in the sports industry. Mobile devices bring this technology home, as we can now scan some advertisements or magazine articles using a specialized app, and see additional text, video, or images to enhance that content. We had our students focus on augmented reality because there are many tools available they could use to create their own augmented reality examples, though they also ended up learning about many different and diverse technologies in this assignment. Each team had to research some aspect of augmented reality and demonstrate an augmented reality example they created to their international partners. Many schools are using augmented or virtual reality as part of the educational experiences they provide, but most make use of examples provided by instructors or textbook publishers, in the form of interactive flash cards or text books. 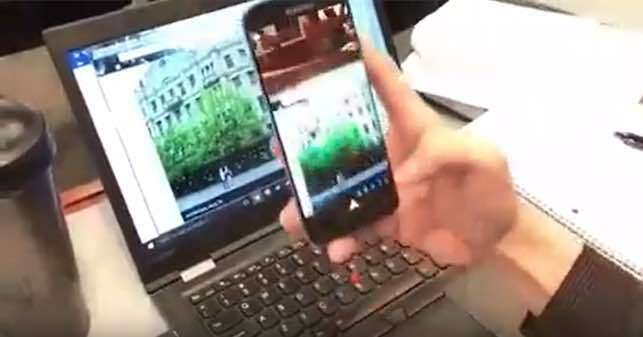 Having students create augmented reality examples of their own is pretty new, and is another way to incorporate the use of student's own mobile devices into the classroom. Beyond augmented reality tools, our project had students using, and developing skills with many Web-based communication and collaboration tools, from sharing files using cloud storage services such as Dropbox, Google Drive, or OneDrive, to using the Web for research, and creating and posting videos using Vine and YouTube. So while various social media, communication, research, and collaboration tools came into the mix, the centerpiece was AR, and the key to our methodology was having our students create, share, and demonstrate their own AR examples. At Bentley, we've also played with virtual reality in an informal educational context, using Google Cardboard viewers. Virtual reality usually requires wearing some type of headset in order to have that totally immersive experience. Students took 360-degree photos of the campus using their phone, and we showed these images to incoming students at their fall orientation. The phones are inserted into the viewer, and use a special app to display the photos in 360 degree view. It was sort of like a virtual campus tour, as students had to identify the locations they saw. Many had never experienced virtual reality before, either, so this as a fun way to introduce that technology. Grush: Besides the important goal of student learning, did you as faculty have research questions as part of this project? Frydenberg: Yes, we had specific research goals. We wanted to see what tools students would use to create augmented reality examples, and if doing so would enhance their understanding of its applications. Grush: Did you give students the option to choose their own tools and try out their own practices? Frydenberg: Yes, of course. This element of choice was important not only for our research, but for the basic pedagogical approach of the project. The important thing here is that Diana and I didn't tell our students which tools they had to use for this project. They had to figure that out for themselves, and in that way, this became a very personal learning experience. All we asked them to do was prepare an augmented reality example, and create a video showing it. We did have them use ThingLink to share their results. Grush: How complicated is it to create an AR example? What steps must students take? Frydenberg: Each group was assigned an industry, such as education, health, travel, or gaming, and had to explore applications of AR/VR in that industry. They needed to identify an app for creating their AR example, figure out what content might be appropriate, create that content, and then master the AR app well enough to put all of this together. Their AR examples included videos, short reports, images, and links to relevant Web sites. Here are snapshots from two videos that students made about their campuses. 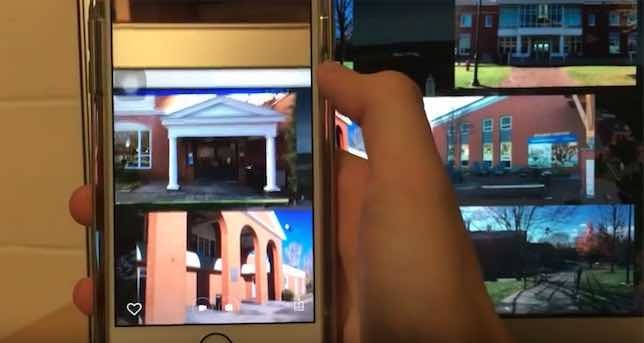 A student from Romania demonstrates how scanning a picture of her school with an AR app shows additional information about the historic building [above], while a Bentley student created a collage of photos from different campus buildings, and scanning them shows a view inside of each [below]. Grush: You've already mentioned some of the communication and collaboration technologies and tools used by the students. What were some of the AR tools students chose or gravitated towards? Frydenberg: Many students used Aurasma or Layar as their tools of choice, probably because they were among the easiest to use that had free options. And there were apps available for both iOS and Android devices. Grush: Getting back to your faculty research, what did you learn about the students? Frydenberg: Creating AR examples was new to most of the students, and I think they were empowered when they realized they could do this on their own. They also learned how widespread the use of AR is in the business world. For many students, it was something new they could do with their phones. Working on this project inspired some students to consider sharing their knowledge of this technology with their potential future employers. We wanted to see how students would work together to learn about augmented reality. We hoped that by having them study how augmented reality is used, and by creating examples of their own, they would learn about not only the technology, but also its applications to the business world. By creating their own augmented reality examples, students had stories to tell about collaboration, culture, technology, and learning. The technology experience they shared with their international partners aptly demonstrates their accomplishments.